(-and anxiety eating?!) on humdrum necessities like where to sleep, onward transportation and a not to be underestimated aspect of perpetual travel- visa rules and regulations. 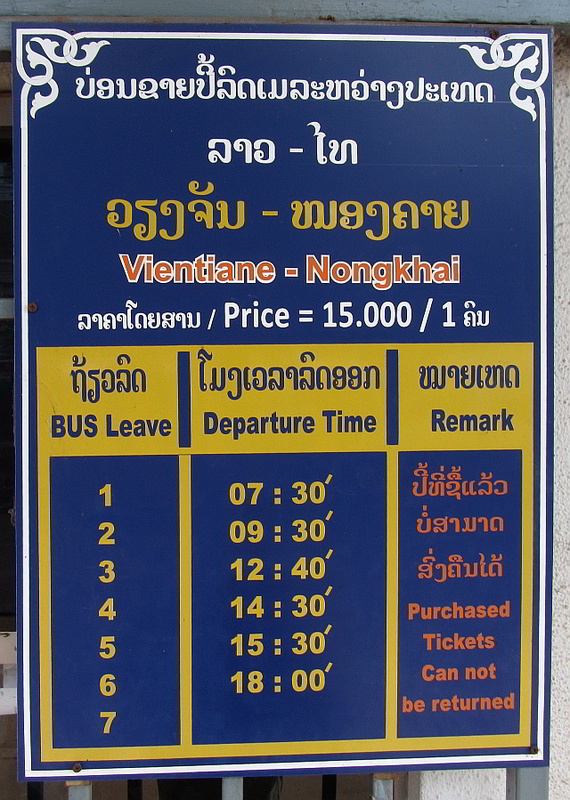 We got there early for the 9.30 bus, because we’d read it fills up quickly, but there were empty seats all the way to Nong Khai. 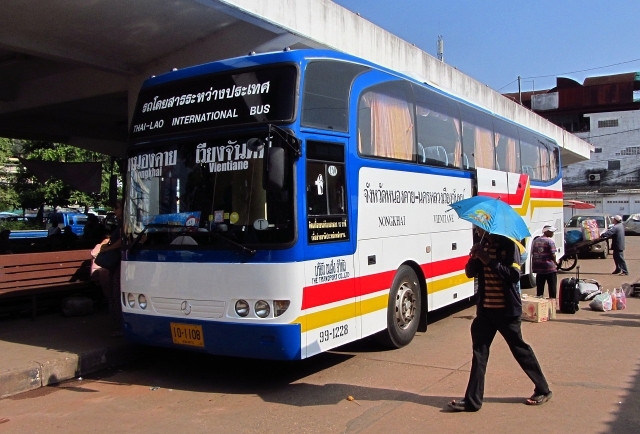 The bus left on time and after about thirty minutes, it reaches the border and everyone traipses through the short Lao immigration departures obstacle course, which includes an automatic gate, to be activated by the swipe card issued at the first window. There’s actually nothing to it and if you turn up at the wrong window you’ll most likely be sent in the right direction with a smile. Reboard bus and cross the Friendship Bridge, where you’ll go through a similar process, which allows you to enter Thailand. 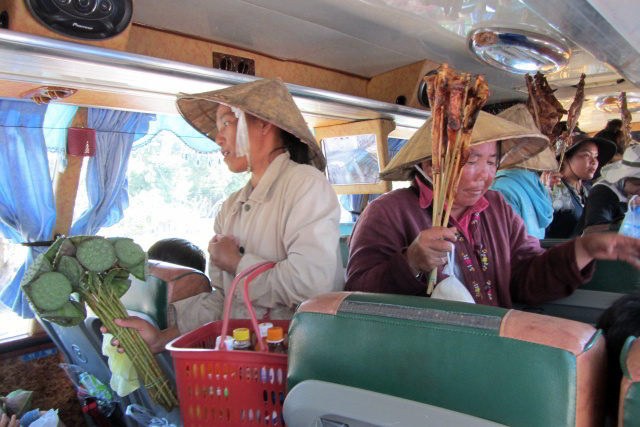 Re-board bus and on to Nong Khai. Nong Khai was very quiet when we were there, perhaps due to a national holiday, so we only had a quick look around before turning back to the border. drove us back to the bridge for 2x 50 Baht. We exited Thailand with a minimum of hassle. We waited in a group of about fifty people for the bus across the Friendship Bridge, 2x 20 Baht, to the Lao border, where we were issued a new visa, 2x $25, within ten minutes of handing in our application form. 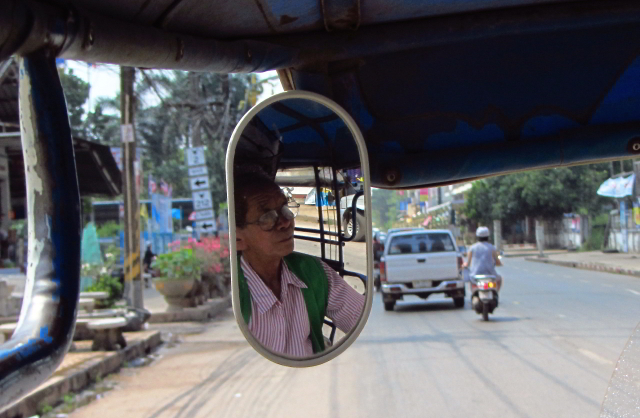 We were scooped up by a mini van driver, 2x 100 Baht, who drove us to the morning market (non-negotiable) in Vientiane, where his tuk tuk driving pal was waiting for the gullible. It was almost 3pm, high time for our daily noodle soup. It turns out we’ll be traveling to Myanmar in November, (stay tuned!). 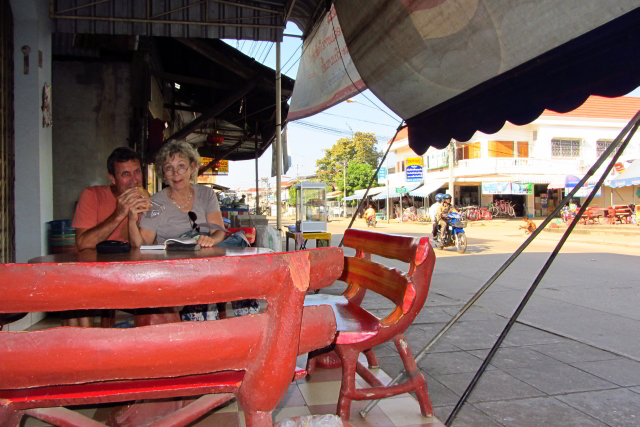 Myanmar Visas are readily available in Vientiane and much less of a hassle to procure than in Bangkok. 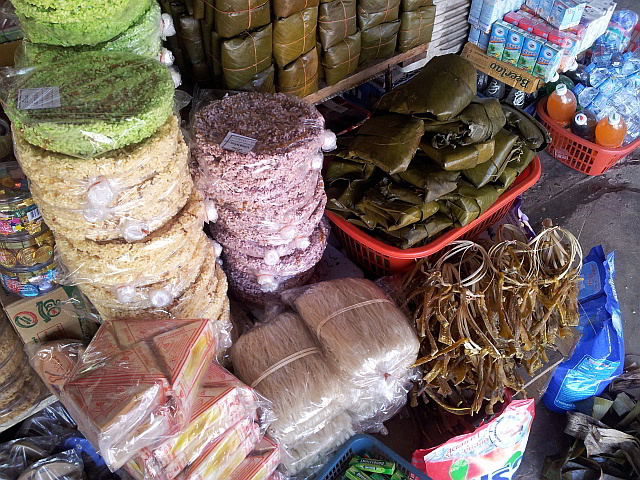 We missed the opportunity but got lucky: Flying into Burma via Phnom Penh with MAI flight Nr. 8M402 gets us a rare tourist visa on arrival, yay!